FINALLY A HIGH END, GOOD LOOKING UNBREAKABLE WINE GLASS! Our "glasses" have are used at many high end restaurants and resorts in Wine Outside's home town of Santa Barbara. 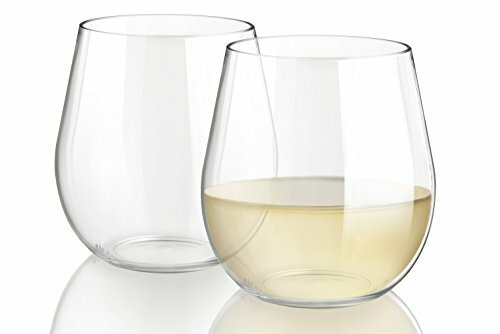 Wine Outside "glasses" are so clear and glass like that they are indistinguishable from glass until you pick them up and tap on them. Only then can you tell that they are not glass. Yet they are not like a the other shatterproof glasses on the market because when you squeeze them they don't bend, and they don't like cheap and cheesy. The reason our glasses are of better quality than the others on the market because they are made of Eastman Tritan which is a copolyester that is crystal clear, food safe, and virtually unbreakable. We use heavy-gauge Tritan and we don't mix it with cheaper co-polyesters like acrylic or dilute it in anyway. Our glasses have wide, smooth rims and are a unique and beautiful shape. If dropped these glasses will not chip, crack, or break. They can be washed at temperatures up to 210 degrees Fahrenheit and are both home and commercial dishwasher safe. Wine Outside glasses were designed for wine but our customers have reported using them for kids drinks too because of their unbreakable nature! Try them! You will not be disappointed! If you have any questions about this product by Wine Outside, contact us by completing and submitting the form below. If you are looking for a specif part number, please include it with your message.